Have you been through a situation where you accidentally formatted a drive which resulted in entire data getting erased? Or, when a partition got corrupted and you lost important files? Such instances sure leaves us distressed, right? More so when there is no backup of lost data. Well, accidents are bound to happen, and losing data from hard drive becomes inevitable at times. But you don’t have to fret about it as we have the right solution to get back your lost data! Yes, with the help of Remo Data Recovery software, data lost from hard drive or partitions can be recovered securely. 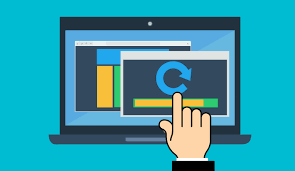 Remo Recover (Windows) is an efficient Data Recovery tool that gets back files from corrupted, formatted / reformatted, lost, deleted, or inaccessible partitions. Remo Recover Pro with its advanced scanning algorithms, scans the entire drive thoroughly to identify and retrieve lost or missing data from hard disk drives. Even files from external hard drives, flash drives, memory cards, etc., can be restored in a short while. All your important data which includes documents, pictures, video files, ZIP files, music files, text files, Office files, and many more, will be recovered. Whether you have to recover files from a damaged or crashed hard drive, a RAW partition, or even files deleted by mistake, Remo Recover is right at your service. This Hard Drive Recovery tool also restores data from partitions deleted / lost from RAID arrays. 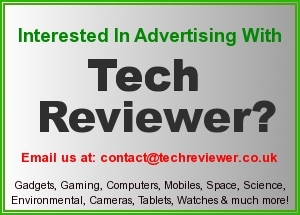 It supports data recovery from FAT, exFAT, and NTFS file systems. Furthermore, you can make use of this application to retrieve formatted partition after Windows OS reinstallation, files lost during file system conversion, resizing partition, transfer, etc. What makes this tool special? The software comes with a couple of customized options which makes the recovery process effective and easy, such that even a new user can easily handle the tool. 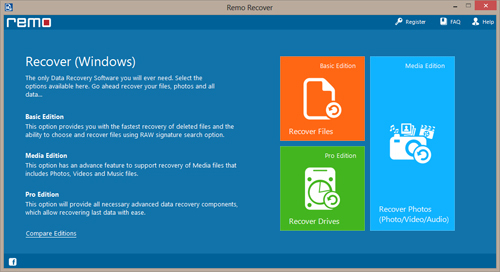 Download Remo Recover (Windows) software on your system, and install it. If files have to be retrieved from an external storage device, then connect it to the system. Launch the software, and follow the steps to recover data. So there you go, whenever you lose data after format, corruption, crash, and so on, Remo Recover Windows comes in handy to recover files. In just a short time, this utility restores all your data. The recovery steps are simple, and you don’t have to worry not having a backup!